A burst water-supply pipe can cause enormous damage to a home, so it’s wise to be aware of conditions that may trigger such a disaster. For example, some plastic or aluminum plumbing systems installed in previous decades have a history of failing without warning. They have triggered class-action law suits across North America. Another type of household plumbing system that can run the risk of failure is one that links supply pipes made of different materials (e.g. lead, copper, plastic, etc.). As a homeowner, you have the responsibility to ensure the infrastructure of your property is sound and well-maintained. To that end, it’s a good idea to do an annual visual check of your plumbing system, from your main shut-off to each branch and every faucet, outlet or appliance connection, to ensure it is functioning reliably. 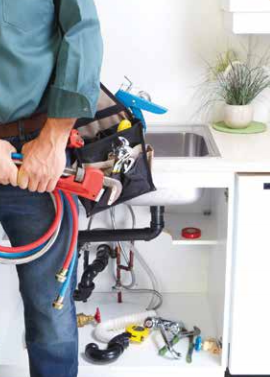 If you have any doubts about the integrity of your plumbing, it’s wise to arrange for an inspection by a professional who can give you a clear and objective review of your plumbing supply system.